I’m really excted about this new egg. Just picked it up today from the shop. 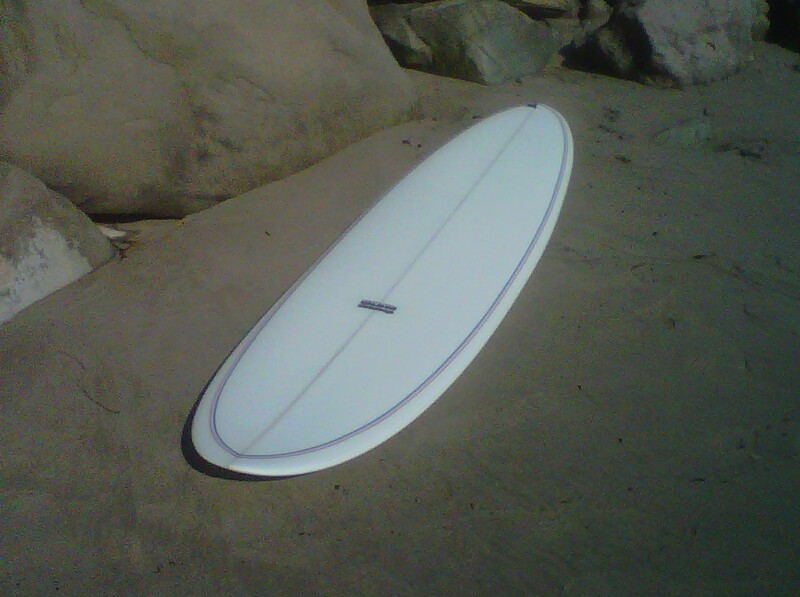 It’s 7’11” 17″ x 23″ x 15-1/2″ x 2-7/8″, EPS/Epoxy 3 layers orf 4-oz S-Glass deck and 2 layers 4-oz S-Glass bottom. Sanded gloss coat finish with red and blue pinline. 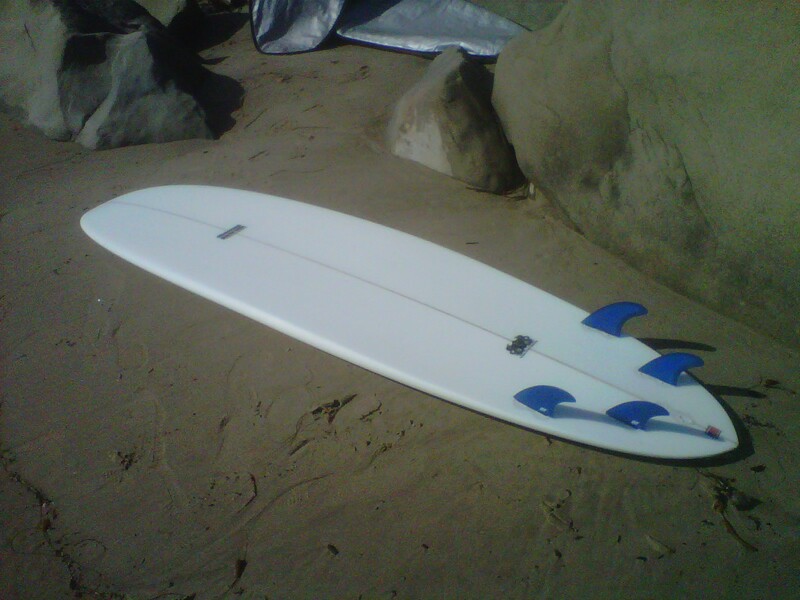 This is a 5-fin, convertible board and I’ll be using the T.Patterson template with 80/20 foil on rear fins when going quad and the CI template when going tri. Both fin sets are FCS-based from True Ames Fins. 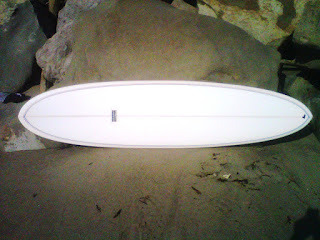 Full outline and low rocker should make wave-catching easy. Bottom features single-to-double concaves with some “V” out the tail for speedy carves and smooth cutbacks.